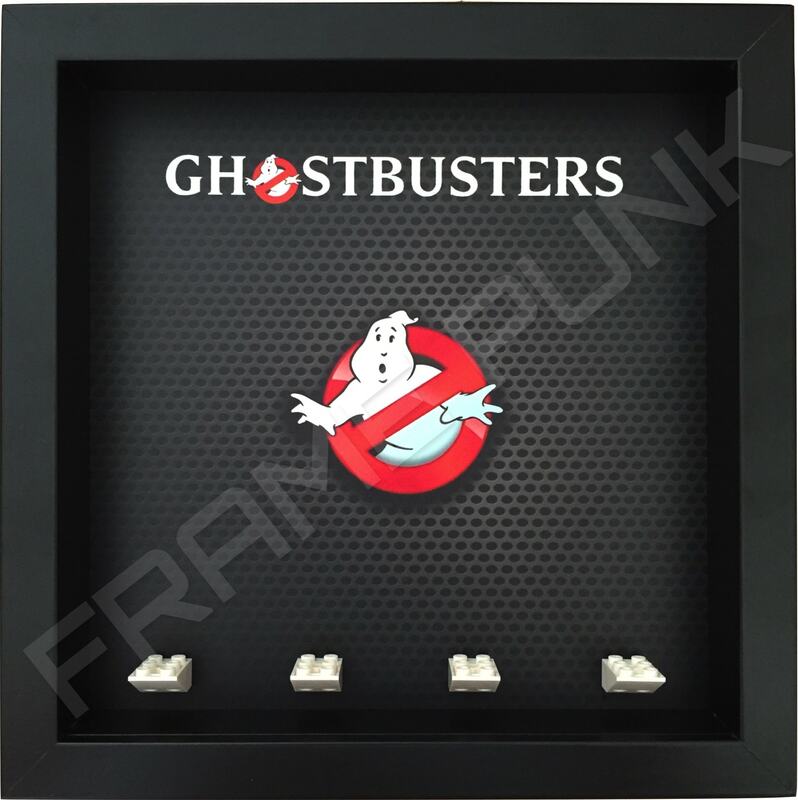 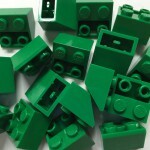 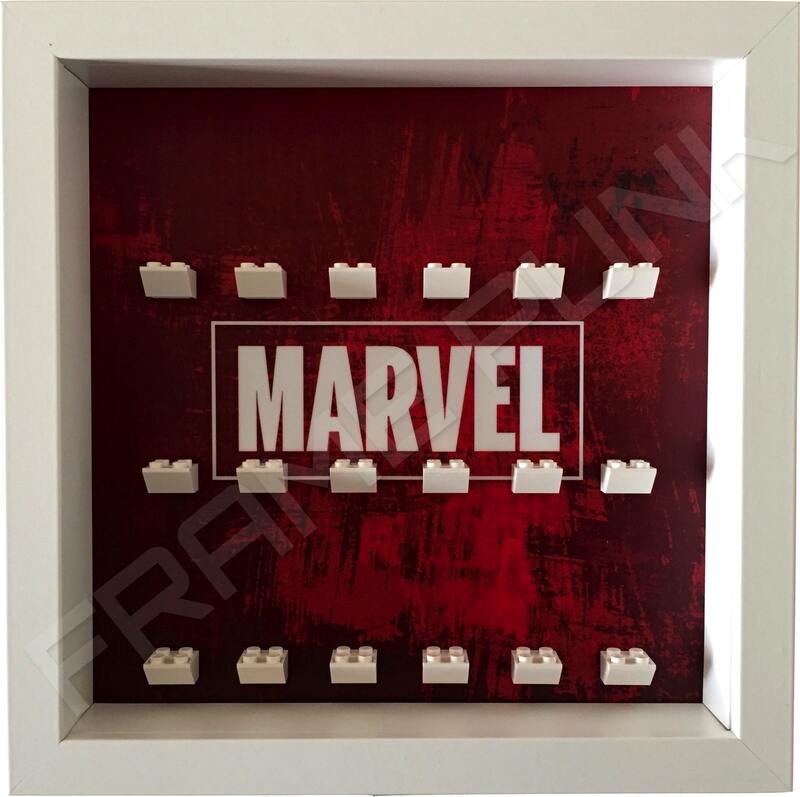 For display purposes we have used a mounting brick formation that we think best suits the background in question. 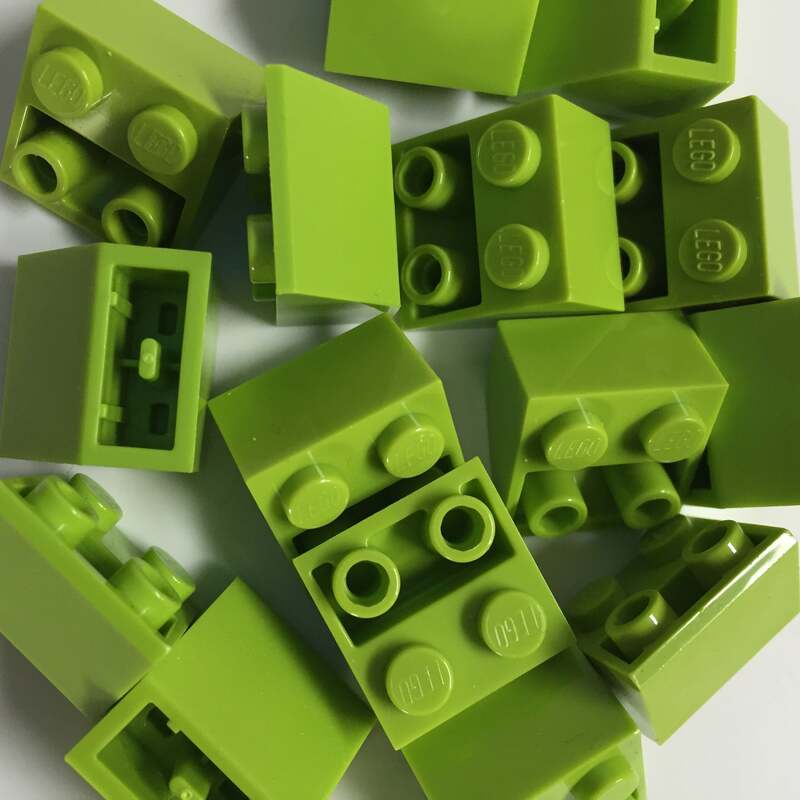 To choose this option, select the 2 formation in the drop down menu below. 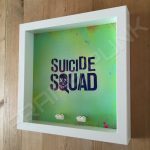 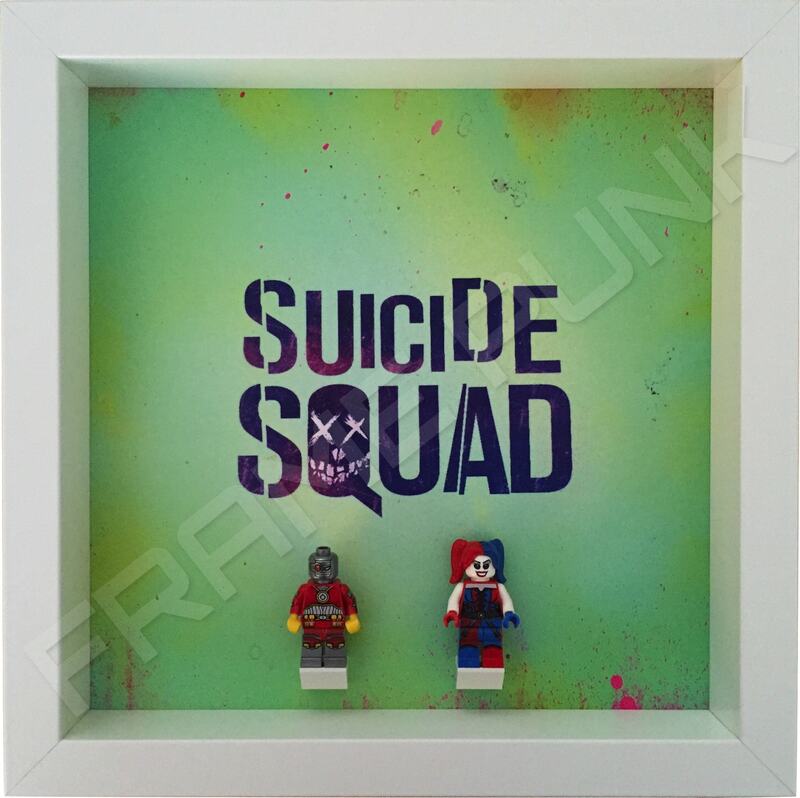 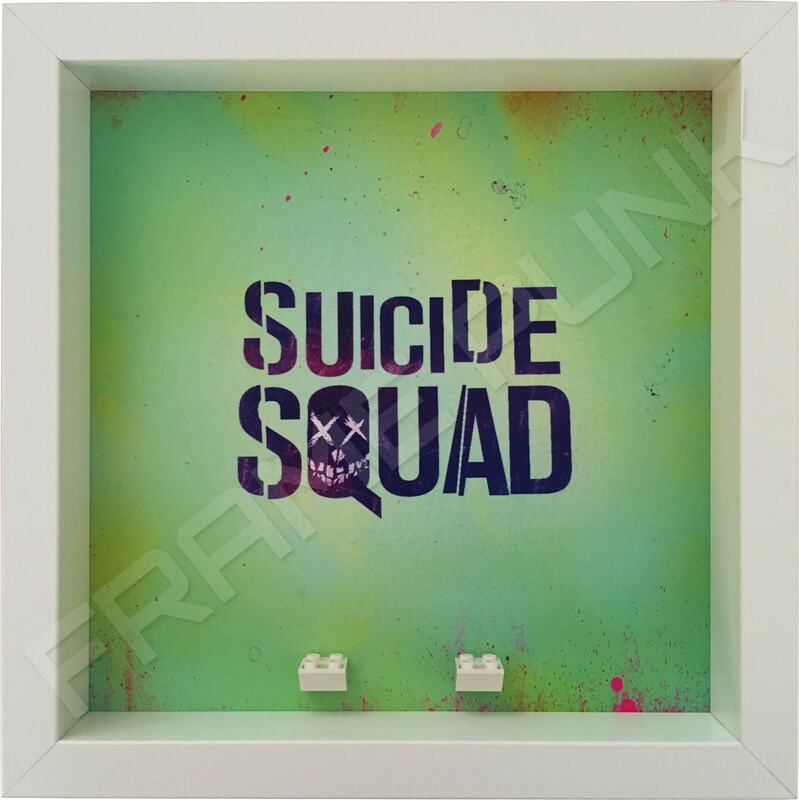 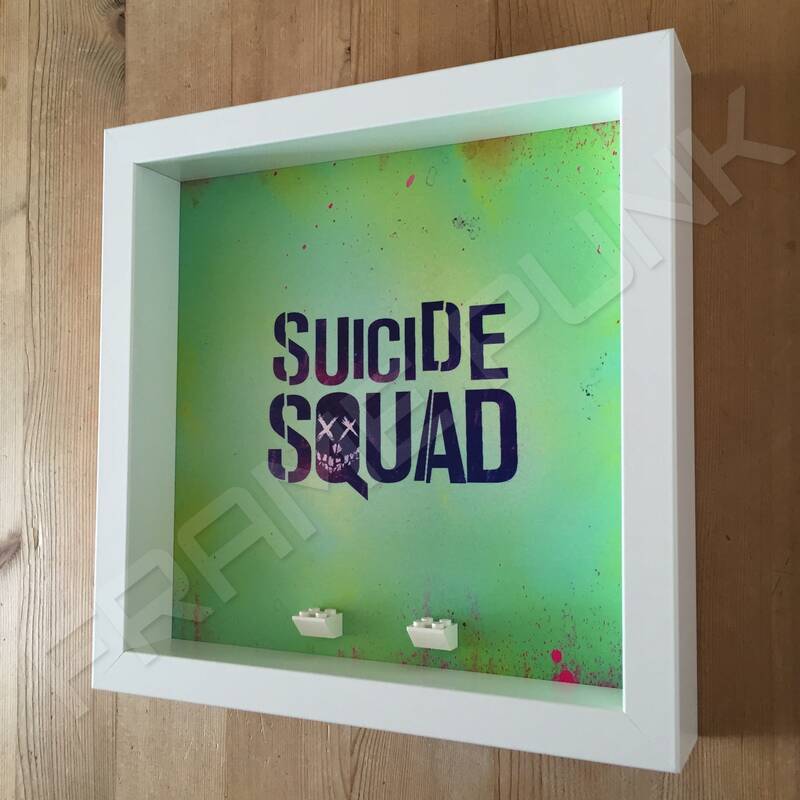 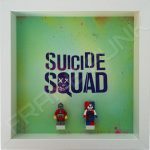 Enjoy your love of DC Comics, Lego and some awesome bad guys by showcasing your favourite members of the Suicide Squad in this unique looking minifigure frame. 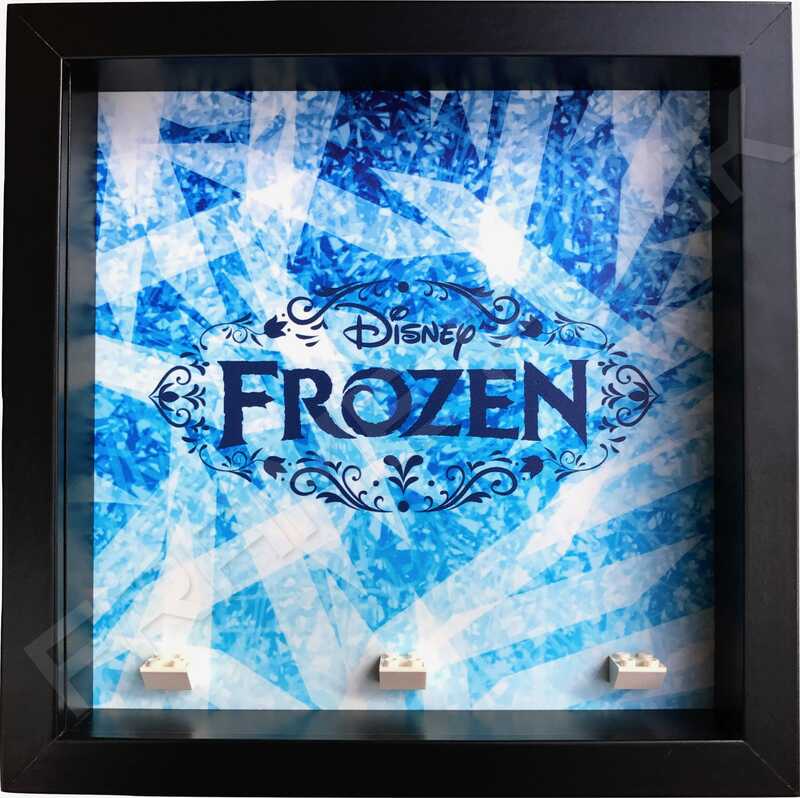 With a background that looks as good as this, you might just agree that less is more! 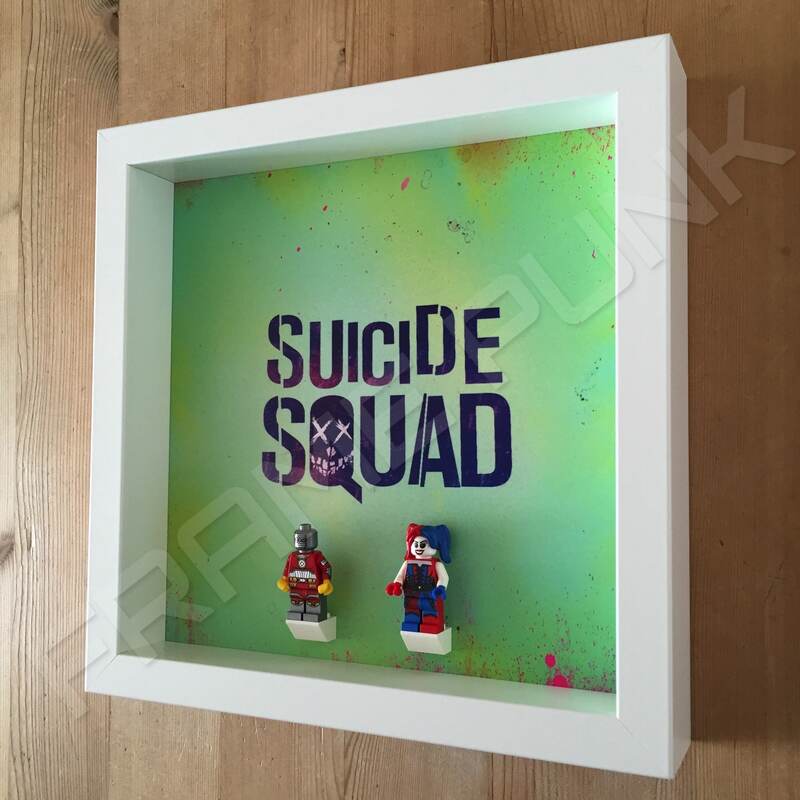 If you can’t just live with the minimal look, this Suicide Squad Lego minifigure display frame also looks great with more mounting bricks to house additional squad members. 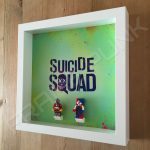 Bad guys never looked so good! 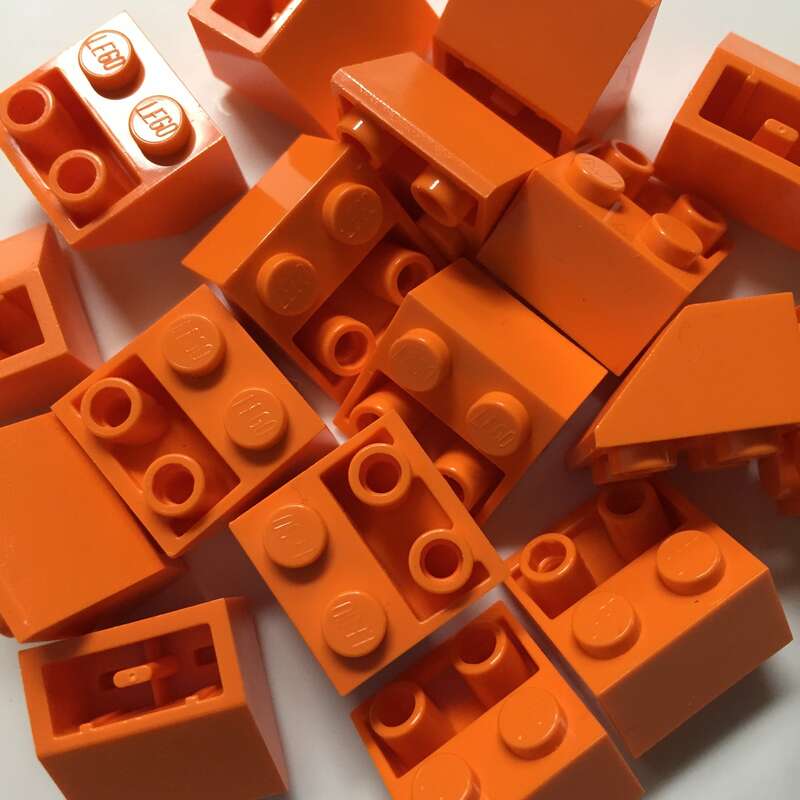 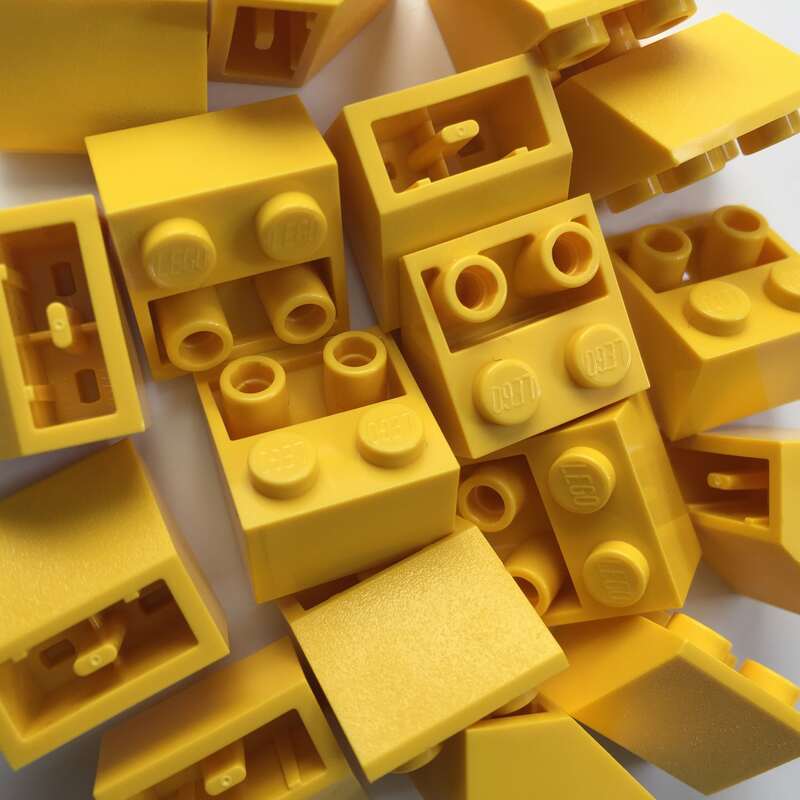 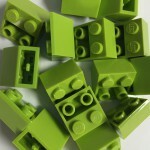 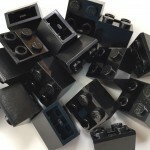 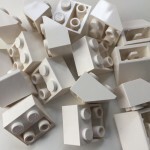 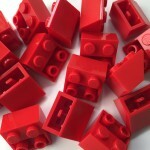 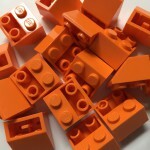 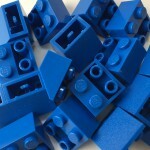 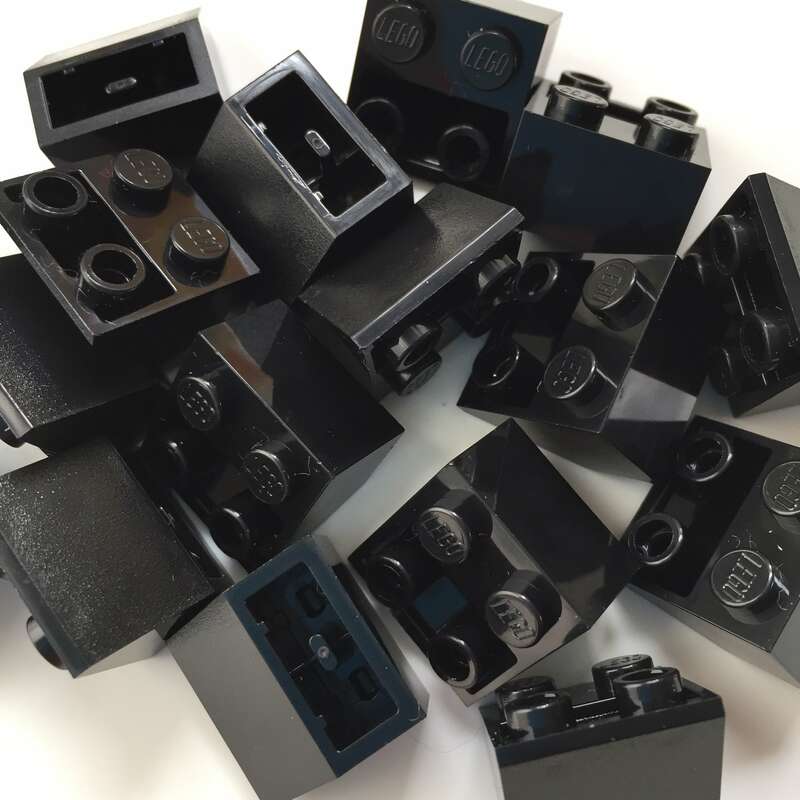 Whether you are a seasoned collector or just starting out, we do loads of other brick formations so just pick the one to suit your needs and we’ll make it!